Maintaining a healthy diet and an active lifestyle can go a long way in staving off the risks. Breast cancer is one of the leading and most common forms of cancers affecting women all across the world. Early diagnosis and preventive measures can go a long way in spotting and treating breast cancer before it assumes a life threatening character. One of the easiest ways to prevent or keep a check on breast cancer development would be to go for regular breast examination and a routine mammography after the age of 40. If "women choose to start annual screening mammography starting at age 40, over the long term, this would be significant because fewer women would die from breast cancer", said Elizabeth Kagan Arleo from the New York-Presbyterian Hospital in New York City. 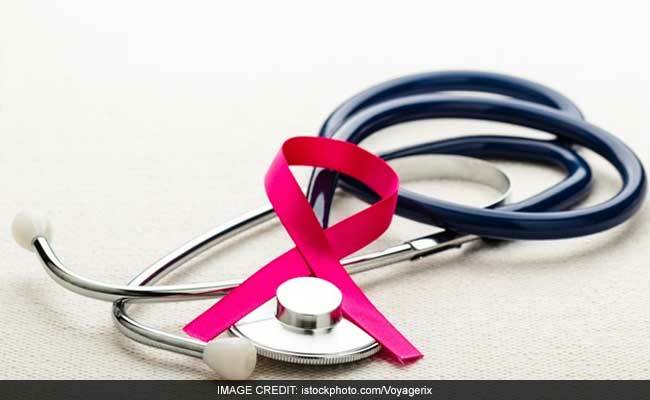 As per a recent report published in the journal Cancer, when annual screening were started at the age 40, it resulted in greatest reduction in breast cancer-specific deaths with a nearly 40 per cent reduction in deaths. The study therefore suggests routine mammography initiation for women as early in their life to rule out or timely diagnose the possibility of any cancerous development. While simple screenings - most involving imaging tests - are one of the best ways to monitor health against the risk of cancer, maintaining a healthy diet and an active lifestyle can also go a long way in staving off the risks. Not just in prevention but during the course of the illness as well, a balanced diet may facilitate speedier recovery and better response to the ongoing treatment. "Our results suggest that a dietary intervention can increase the effectiveness of a targeted cancer therapy," Vincent Cryns, professor of medicine at the University of Wisconsin School of Medicine and Public Health in the US was quoted by IANS. What you eat on a regular basis plays a vital role in determining your health and potential risk of developing any lifestyle ailment. We take a look at three simple dietary habits that can help you cut down risk of developing breast cancer. Experts at the Harvard T.H Chan School of Public Health found out that girls who consumed more fresh fruits and veggies during their adolescence were at lesser risk of developing breast cancer. With an additional 10 grams of fibre added to their daily diet, the risk of breast cancer in the girls reduced by 13%. Processed sugar tops the list. A diet rich in refined items and low in fibre has been associated with upping the risk of pre-menopausal breast cancer, found experts from the University of California. High dependence on junk food, refined and processed food items may trigger obesity, one of the leading causes of lifestyle diseases including cancer. Vitamin D receptors may help prevent tumour growth and keep them from expanding. "Vitamin D receptors are not lost until a tumour is very advanced. This is the reason for better survival in patients whose vitamin D blood levels are high," Cedric F Garland from the Department of Family and Preventive Medicine, University of California was quoted by PTI.